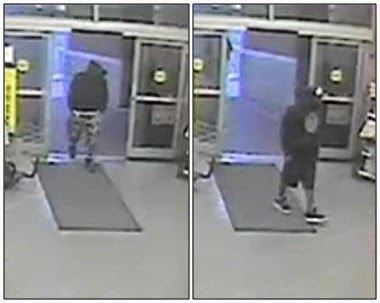 Police release photos of suspects in W. Ashley grocery store robbery | Crime Stoppers of the Lowcountry: 554-1111 | 1-888-CRIME-SC | Anonymous tips earn cash rewards with Crime Stoppers of the Lowcountry. 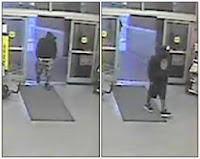 CHARLESTON, SC (WCSC) - Charleston police are asking for the public's help in identifying two suspects who reportedly robbed a West Ashley grocery store last month. Authorities say the robbery occurred Thursday, June 5 around 6:20 a.m. at Bi-Lo coated at 1200 Sam Rittenberg Boulevard. The first suspect was wearing a black hooded sweatshirt with the hood pulled up, camouflage shorts and black shoes. Police say he appears to be a black male, approximately 5'08" and 160-180 pounds. The second suspect was wearing a black hat, black hooded sweatshirt with the hood pulled up, black shorts and black and white shoes. Police say the suspect appears to be a black male, approximately 5'08", and 150-170 pounds.